EDITOR’S NOTE: We’re celebrating this month the release of a great new book from RLC sister Dee Dee Risher. The Soul Making Room weaves memoir with biblical reflection to invite each of us to name those holy spaces where we can live without fear. Dee Dee shared the following reflection on how she and her family have been learning the Way of Jesus in this Easter season. 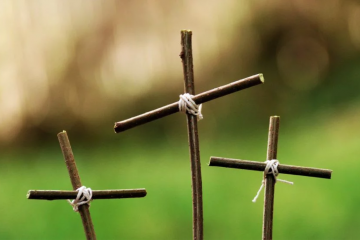 Around my household, the end of Lent and beginning of Easter brought massive jubilation, like never before.One reason our family had such joy was because as a family, we adopted a severe, family-wide lent discipline—and Easter lifted it. We decided the four of us, including two hungry teenagers, would eat on $25 a week and using stuff we already had around. 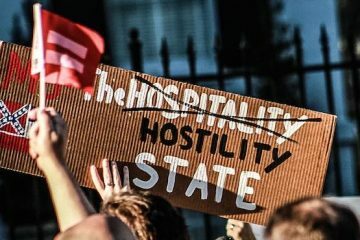 (And yes, there were dissenting voices inside each one of us.) I stuck that allowance in an envelope. When the envelope was empty, we knew had to get creative—raid the all the edible weeds in the yard perhaps. But actually, it was the miracle of the oil that did not run out. We ended with $3 in the envelope. What I did not anticipate was that the exercise gave me a new understanding of Easter, and what it may have meant for the followers of Jesus. I was raised in a small Lutheran church, and as our child, had my little envelope in which I slid tidy dimes all Lent. Later, as an adult, I was always intentional about the season. At first, I treated it similarly to a New Year’s resolution with a little more God stuff behind it—I would “give up” things that were probably not very good for me anyway. Gradually, though, I began to make Lent a space where I got more real about my spiritual journey and only chose to incorporate disciplines and practices that I felt would help me this particular season. It’s been years since I gave something up. Usually, I’ve been adding things—more silence and prayer, more acts of kindness, writing a poem each week…whatever drew me more fully into life and peace. Why, then, does this year seem different and more compelling? Briefly, living on that amount of money reoriented our life. Our hearth-life expanded (We had to make bread, yogurt, granola, beans, no shortcuts). I rarely went to the store, and quickly bought a few specific things when I did. I began to realize what is meant to actually steward food—bringing leftovers from gatherings, using every possible thing. Our recycling bucket took a lot longer to fill up with packaging. With one resolution, we freed up hundreds of dollars we did not know we could save, and shared that with the hungry. We did the homemaking steps we wanted to live toward anyway. And we lightened our planetary footprint dramatically. Most importantly, however, we learned what we did not need, and what we can live without. This was not a first learning—rather a reorientation and readjustment We grow out of patterns we know are good ways to live. And what does this have to do with Jesus? 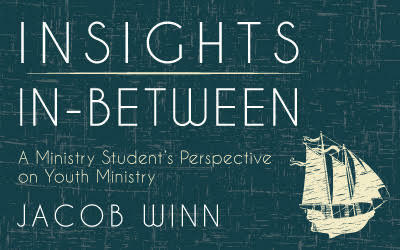 Embedded in the Scripture stories of this season are stories of people swimming in confusion. There were different stories—two men from Emmaus said they saw him alive. Some women who went to care for the corpse (women’s work) came back with wild stories of an empty grave and a resurrected Jesus going ahead to Galilee. In the days ahead, a Jesus who was almost always not recognized would pass through doors and walls, cook fish on a beach, place his hands in the wounds of the unbelieving. It was the classic rumor and denial that follow on the heels of great tragedy. The cohort was stunned and shattered, hiding and terrified. It was great chaos and incredible loss. No one could make sense of the fragmented stories and appearances. Only much later in the arc of the story do we see Jesus’ followers grasp a sense of who they were now to be in the world. 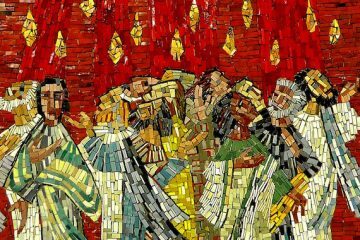 Forty days later, at the Jewish festival of first fruits, called Pentecost, the script reverses. A powerful, otherworldly flame of Spirit sweeps into the room where they are gathered (they are always hiding, inside….) and then the disciples pour out into the streets, preaching. They become resurrection people, and the church is born. These are some of the stories in Scripture that most churches focus on during this Easter season. This has me thinking two things. First, resurrection people must tap immense courage. Second, you can’t be a resurrection person without fully embracing death. Something about the journey means that you release something tethering you down in order to go toward something. And this, perhaps, is where our family’s Lent converges with the lessons of Easter. We didn’t go through, nor face death, surely. But collectively, we took a big step in learning what we can do without. We were surprised. We left the season ready to continue the experiment (after a big Easter feast). A small passage, but it has me thinking that we can’t be a resurrection people unless we go through our fears, or death—see it, feel it, and let it in. 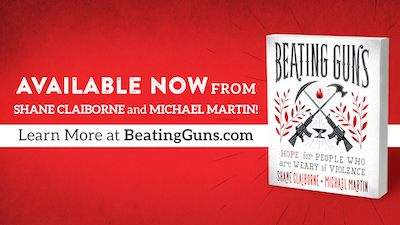 In fact, a lot of my spiritual work for the last ten years, and my current book coming out of that work, has been discovering how death, in all its ugly ways, can make us more authentic, powerful resurrection people in the world. Because people who are no longer afraid of death, people who travel light and hold life lightly–are very powerful people indeed; people to be feared by those in charge. Think of what it is possible if we do not fear death? As the scriptural stories unfold, we see it in the lives (and the manner of death) of those followers of Jesus. They did die. Some brutally. But they confounded all of Rome’s power by not fearing death. Ultimately the courage, and this lack of fear, is the path I believe Lent should lead us to. This year, it did, and we are grateful. 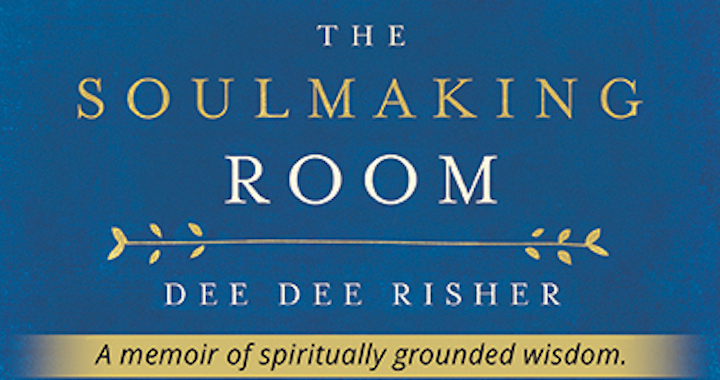 Dee Dee Risher’s powerful book, The Soulmaking Room, explores how people of faith and justice grapple with grief, failure and loss in ways that make us more authentic. Dee Dee edited The Other Side and Conspire magazine for many years and lives in Philadelphia at the Vine and Fig Tree community.